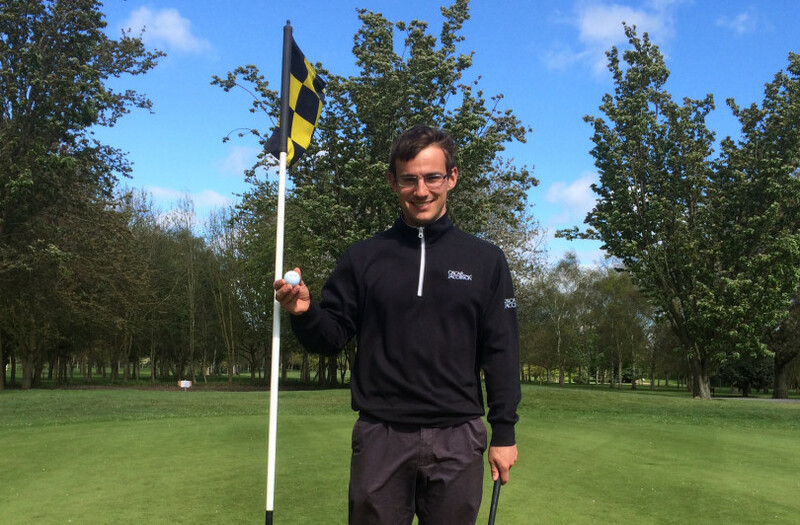 Will Sharpe a 21 year old from Harley, Much Wenlock has just had his third hole in one in only five years of playing the game. Currently studying sports science at the University of Birmingham, Will plays golf regularly at Shrewsbury Golf Club in Condover with a handicap of 8. The 21 year old learnt to play golf in the junior academy at the club and started playing in junior competitions where he had his first hole in one 3 years ago. “I was playing the par three 2nd hole when the ball went in,” says Will. His second hole in one was on the par three fourteenth hole, a 222 yard hole that slopes downhill. “I was playing with my dad and wasn’t playing particularly well at the time, so I thought I would try something different with my swing. I hit a good shot towards the green and it disappeared out of sight. We hunted for the ball for a while before finding it in the hole,” recalls Will. Will’s Hat-trick on Saturday was on the 135 yard par three 6th Hole. “I was playing well with my Dad against Mark Wooton and Tommy Knight in a friendly match. When I walked onto the tee we were losing by one hole, so I was concentrating on trying to win the hole. I hit a solid pitching wedge at the green because we were playing downwind and the greens are hard and playing quickly, so it’s important to put spin on the ball. The ball hit the green bounced twice and dropped into the hole. I was very excited not only to have a hole in one, but also to win the hole,” says Will. Will began playing golf after being introduced to the game by his Dad. Once a keen cricketer, golf has become his favourite sport. “Once you get into golf it’s really addictive and you get the bug for it. There’s always the next challenge. I’m going to have to see if I can get a hole in one on the two other par threes on the course, the 8th and 17th, to complete the collection,” says Will.